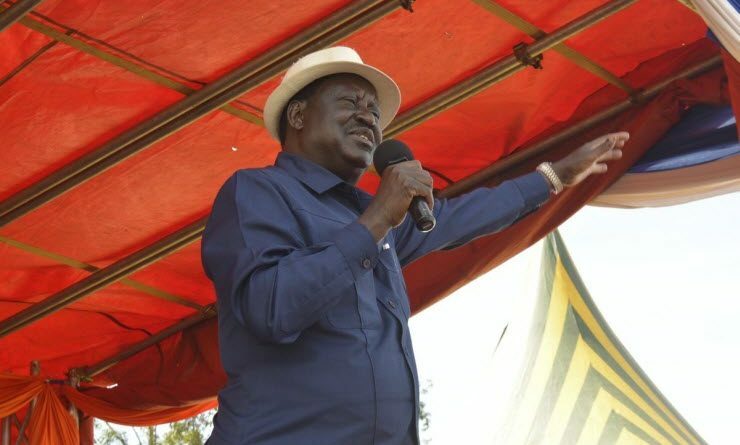 ODM leader Raila Odinga has reiterated that a referendum on change of 2010 Constitution is on course and inevitable. Likening the same to an idea whose time has come- Raila reaffirmed that Kenya will hold the plebiscite at an opportune time. “The Building Bridges taskforce has begun work and they will move around the country to collect views from Kenyans. We want to fix our problems once and for all,” he said. He explained that his handshake with President Uhuru Kenyatta is meant to address long-term issues that have affected socio-economic development for decades. Calls for a referendum has divided politicians with those allied to President Uhuru Kenyatta siding with Opposition while those seen as pro- DP William Ruto vehemently opposing the idea. The anti-referendum clique are led Senate Majority leader Kipchumba Murkomen who has dismissed calls for referendum to change the Constitution to a parliamentary system of government as a move meant to benefit an individual. Last week, National Assembly Majority Leader Aden Duale opposed the proposal to have a referendum to alter Kenya’s political landscape. “Jubilee Party will not be involved in the debate about reducing the number of electoral seats until it gets direction from President Uhuru Kenyatta.